"Voted Best Plumbing & Heating Contractor past 2 years"
Our past is why our present is so bright! T-Mont Plumbing & Heating is a leading Plumbing Company with a combined experience of over 3 decades offering its plumbing and heating systems, drain cleaning, hot water heater repair and installation, boilers, and emergency plumber services in Essex County NJ, Nutley, Belleville, Montclair, Clifton and Bloomfield. 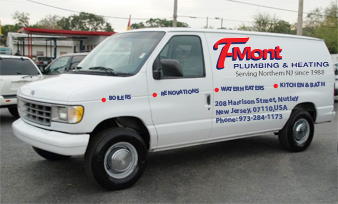 At T-Mont, we take pride in ensuring customer delight which has helped us retain our position as the most preferred Plumbing Service provider in NJ. If you’re looking for a plumber in New Jersey surrounding area, you have found the right company. Providing superior services in Nutley NJ, Belleville NJ, Montclair NJ, Clifton NJ, Bloomfield NJ, Somerville NJ, Bedminster NJ, Basking Ridge NJ, Martinsville NJ, Montgomery NJ, Skillman NJ, Somerset NJ, Manville NJ, Flemington NJ, Far Hills NJ, Bernardsville NJ, Warren NJ, Bound Brook NJ, Neshanic Station NJ and other towns of North Jersey. Do you have a Plumbing/ Heating concern back home? Are you looking for a quality Plumbing Service at the best price? Are you a resident of NJ? If your answers to the above questions is ‘Yes’ then our responsive team is at your service to “make you feel at home again” by offering prompt solutions at your doorstep. We offer Plumbing and Heating services across the length and breadth of NJ with our Plumbers operational in Nutley, Belleville, Montclair, Clifton and Bloomfield among other areas. We specialize not only in fixing and building Plumbing solutions, but restoring smiles for our customers is what fuels our aspirations to keep improving our services. That is why our skilled workforce is our greatest asset and we ensure periodic trainings to supplement their abundant experience with the elixir of innovation. We understand that your home is your safe haven where everything is suited for your comfort. We as your Plumbing contractor can only assure you to do our bit to reinforce the sanctity of your comfort zone, your home. From your smallest service requirement to macro additions, from Faucets to Boilers, from Toilets to Laundry Rooms, our custom-made packages are sure to cater to all of your Plumbing and Heating needs. Our Unique Selling Point is that we offer customized packages for each of our customers designed to perfectly match your specific set of requirements. T-Mont Plumbing and Heating Solutions guarantees the best price in the market for unmatched quality of services. We realize the urgencyof your requirement and are committed to timely resolution every time. In addition to the enlisted Plumbing Services, we also offer convenient tips for enhancing the life of the product and a more rewarding experience for you. We have learnt by dwelling on our experience of last 30 years that a satisfied customer is the best form of marketing investment we can make. And now, we have moved a step ahead from customer satisfaction to customer delight. Our commitment to making a home owner “feel at home again” has been the reason why we are considered the premier plumbing company in north jersey. Our Services cover all residential needs such as Boiler Repair NJ Hot, Water Heater Repair NJ and Sewer Cleaning NJ and at the best rates which are attractive enough to afford getting the job done. 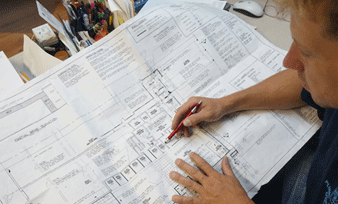 If your looking for a plumbing company in NJ , then your search can end here. We take pride in our client retention and believe preventitive maintenance now can save you money and anguish down the road. Our friendly plumbers not only thoroughly understand your issue but can find cost effective methods that most plumbing companies in NJ will not advise you of. Our honest approach and proactive work ethics are the lifeblood of what we love to do, “HELP OUR CLIENTS”! We are glad you have found us, how can we help! . Please contact us now or fill out a contact form and one of our office team members will call you back right away. 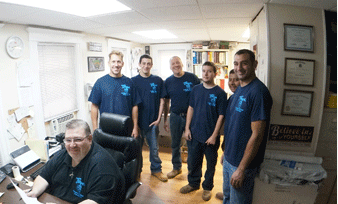 We are available 24X7 to address all your Plumbing and Heating requirements through our helpline number 973-284-1173. You can also submit your concern on our contact form and we will provide a free estimate and arrange a prompt call back.